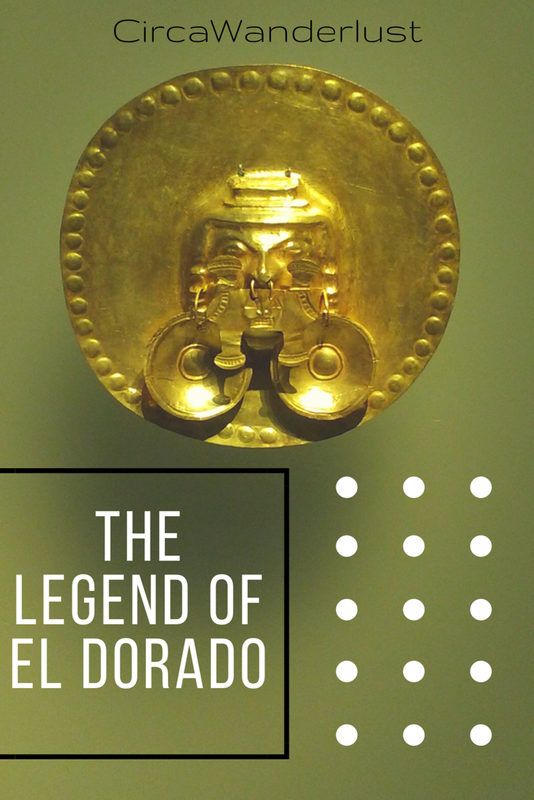 The Legend of El Dorado is one of the most famous tales told in relation to Latin America. It sits right up there with Ponce De Leon’s Fountain of Youth, inspiring legends, tales, and great adventures. Located just a short ride from Bogota is Guatavita with its ancient and sacred lake the rumored home of The Legend of El Dorado. You can visit the lake for a great day trip if you are in Bogota or visit the Gold Museum to see artifacts related to the legend. Lake Guatavita is at the center of the legend where gold and treasures were thought to be held deep in the water of the lake. The mystical and practically perfect circular body of water’s origin is even subject to legend like beginnings – it could be a volcanic crater or the result of a meteorite impact. From the lake you have stunning views of Bogota’s savanna too! According to the legend, the ceremony to appoint the new Muisca Chief (The Muiscas were the native people of the area) used to happen at the center of the lake. It isnt hard to imagine.. As the new leader and chief prepared to take over you can see the lake in all of its peaceful tranquility looking like a giant emerald nestled in the mountains. It is said that the new Muisca chief would sail to the center of the lake on a raft, covered in gold dust glistening before diving into the water. The raft itself was loaded with jeweled artifacts and precious items that were thrown into the water as a symbolic gesture of adoration and honor to their gods. As legend is told, gold and precious stone jewelry, emeralds, beautiful woven tapestries, and ornate pottery were given up to the lake in honor of the supreme god of waters. Asking of the gods, the new heir, sought blessings of justice, goodness, and wisdom in his new role. When the Spaniards came to the continent for their colonization missions and heard of the legend, it didn’t take long for them to try to find it.And many argue that the Spanish gold lust actually played a large part in the fever behind colonizing Latin America. They organised many expeditions to find the gold submerged in the lake and even attempted to drain the lake but nothing was ever found.